Build your child’s foundation and inspire them to pick up an important lifelong skill for the future. 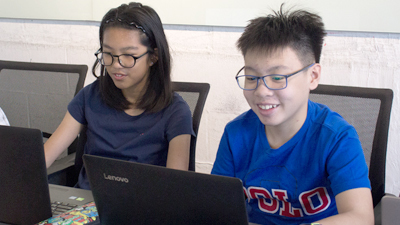 Beginning with Game Development, students master 12 research areas under our award-winning Young Computer Scientists programme. Let your child excel in Computational Thinking with our progressive learning roadmap which takes them through App Development, Micro:Bit and Python. Students create real-world apps and solutions and will be exposed to the intricacies of UI/UX design. Be future-ready with our proprietary Python courses ranging from Math simulations to Artificial Intelligence and Data Analytics. We also offer Academics training which include IB Java and GCE ‘O’ level coaching. We did a Holiday Coding with Pororo program last November 2016, and were heartened by the overwhelming response from both parents and kids. We are pleased to announce that the Coding with Pororo programme is back, this time, not as a one-time session, but with five full sessions, where kids will get to create a proper digital Pororo story and get the chance to meet Pororo himself! A happy student showing his completed Pororo Story! Kids will start off learning the attributes of the commands by having an activity session, using giant commands to direct each other and learn about mathematics (counting), while learning coding sequences and loops in the process. Exclusively at Pororo Park, make your favourite characters spin, twirl, hop or jump, or even do all 4 at once! Add your own music, backgrounds, and voila! your child’s very own Pororo story is formed. *Special Guest appearance by Pororo! *Guess What, Pororo himself may be coming down to watch the performance! 2 hour workshop + 2 hour playtime FREE! For more enquiries: Call +65 6528 2282 today! Start your child on their journey in logical thinking with our preschool programme. Kids get to program an animation and direct a robot to retrieve treasure amongst many other activities. 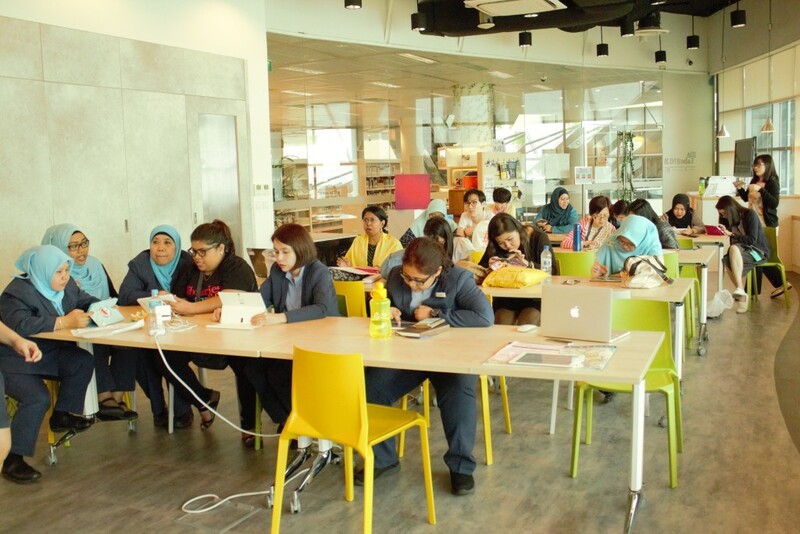 The team from Coding Lab had lots of fun today, training staff from the National Library to code using stories! Kudos to the fantastic and sporting participation from all participants. 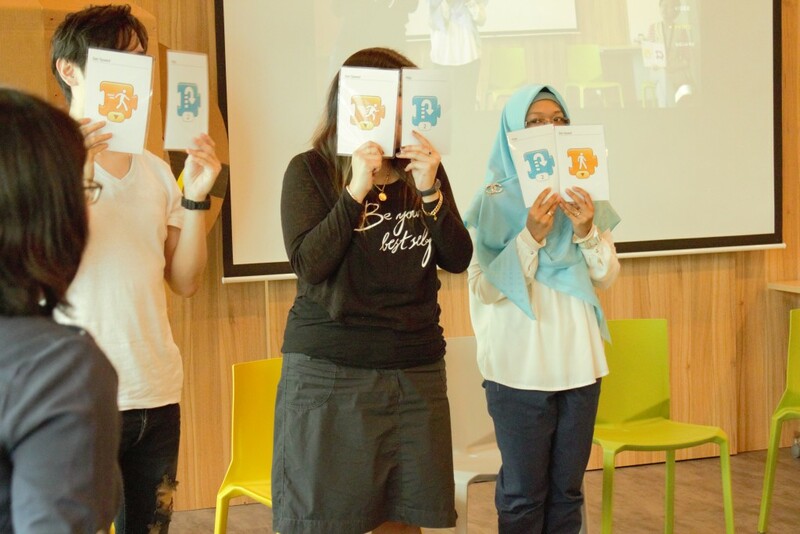 From play-acting, to coding, to voice-acting, everybody had a great time learning to code by re-enacting our childhood favourite – Five Little Monkeys! View our pictures in action below. Sporting volunteers – cast for the Five Little Monkeys! 3 Monkeys and their coding blocks – Jump! From young to old, video games have always held a certain fascination; from classics like Tetris, Lode Runner and Pacman, to Super Mario, to today’s Clash Royale and Minecraft, millions of children have experienced and played video games. Who can remember the thrill of the adrenaline rush when you beat a level, or when that tetris block drops perfectly in space, clearing four rows at once? As parents, we are rightfully concerned about our children’s attraction to video games, especially in today’s digital age when our kids get exposed to technology at a very young age. How do we manage their interest, and direct their interest into something that can benefit them for life? Read on to find out! Video games are all about processing large amounts of data in a short amount of time. Even basic shooting games require thinking logically. Quest-based games require players to find alternate ways of moving forward or solutions to different problems. And these are definitely some of the essential skills that kids need to pick up from. Coding games like Spacechem, Infinifactory, and Codecombat teach procedural literacy. That is the reason kids programming classes often use coding games to generate students’ interest in coding. Gaming involves the use of consoles or remote controls to control all the action on the screen. Studies suggest that playing video games can help improve coordination and balance in the heart patients and even in Parkinson’s patients. Children who play video games, naturally, develop better hand-eye coordination. 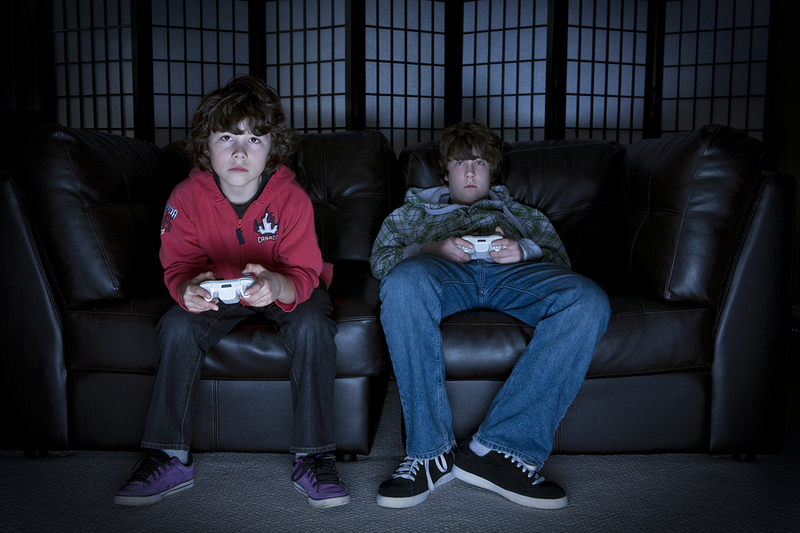 Contrary to popular belief, It is a stereotype that children who are into video games are introverted and isolated. Nothing teaches community bonding and teamwork like video games do. Games also have flourishing bases both online and offline. Moreover, 70% of gamers play in the same room with their friends. Coding classes for kids are social places as well, and project planning, teamwork and even presentation skills are developed. This helps develop positive peer relationships and build high self-esteem. Check out our showcase testimonials to see our confident kids presenting the work. Video games can give kids a chance to analyse their performance objectively. They also help them devise strategies to implement those. Most games have a set goal or mission and allow the gamer to use multiple ways to reach it. However, most of them require using strategy to achieve the goal. Many of them provide immediate feedback on performance. 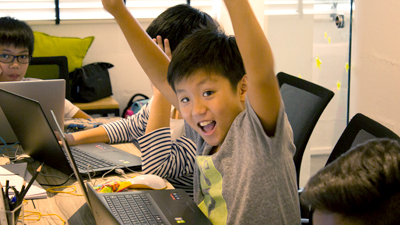 Kids programming classes combine learning and fun into one. Video games based on simple coding can help develop analytical thinking. They encourage children to find multiple solutions to a problem. Games like Lightbot, Scratch, and Code Monkey are interesting ways to learn to code while having fun. 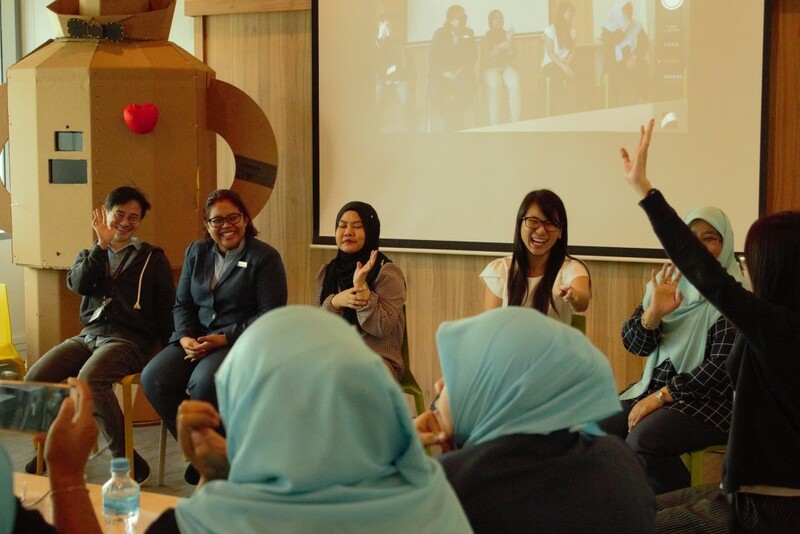 In the longer run, it encourages kids to take up coding as even a career. 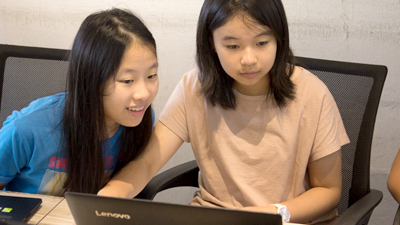 Kids who code are usually good at mathematics. Many parents find it difficult to teach their kids to empathise. Empathy is an important aspect of developing moral consciousness and opposing prejudice. Video games can help kids to empathise much better than books or verbal repetition can do. Why not allow kids to learn decision-making skills? Some games enable kids to face difficult situations and help them learn how to make ethical decisions. These situations deal with sensitive issues and simulate circumstances that would otherwise be difficult to create. Indeed, studies suggest that gaming is as beneficial as physical activity for cognitive development. 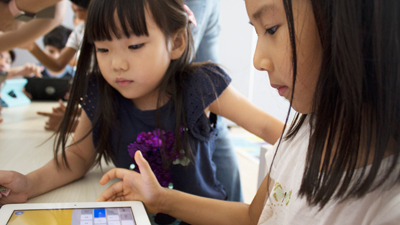 Coding classes for children make use video games to teach analytical thinking. Video games can help your kids learn a multitude of life’s lessons, ranging to making fast and timely decisions to overcoming a fear of failure. All in moderation, of course!